This 23 in 1 Multifunctional Adjustable Wrench is made to fit all sizes. It features an adjustment screw knob in the middle to access small and large nuts and bolts. 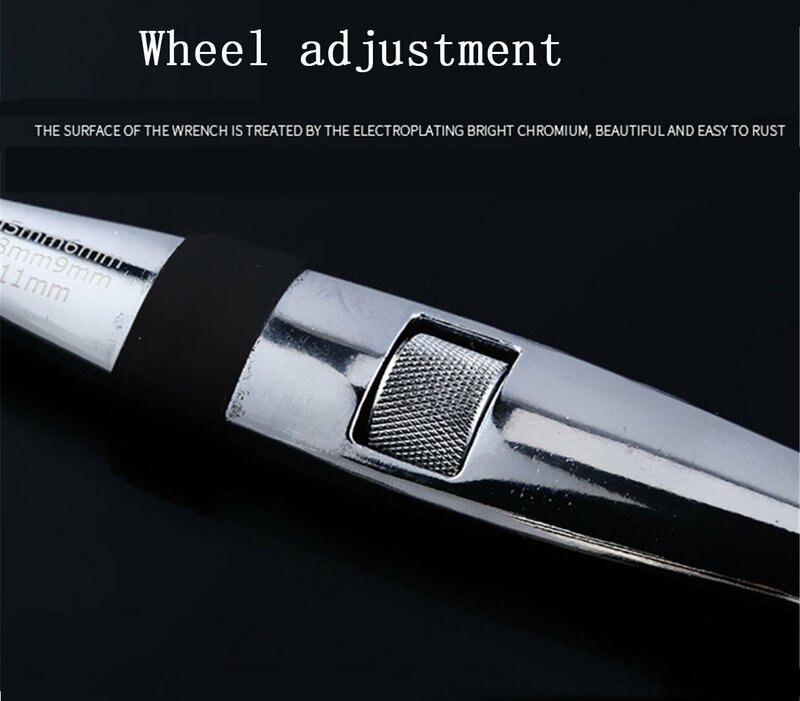 The finish is clean bright high-polished rustproof chrome plating with numeric etchings to show the corresponding sizes with the correct side. The small closed end design makes it easy to access those hard to reach areas while giving you added space for turning. It enables the user to apply more torque with the patented 3-point touch design. 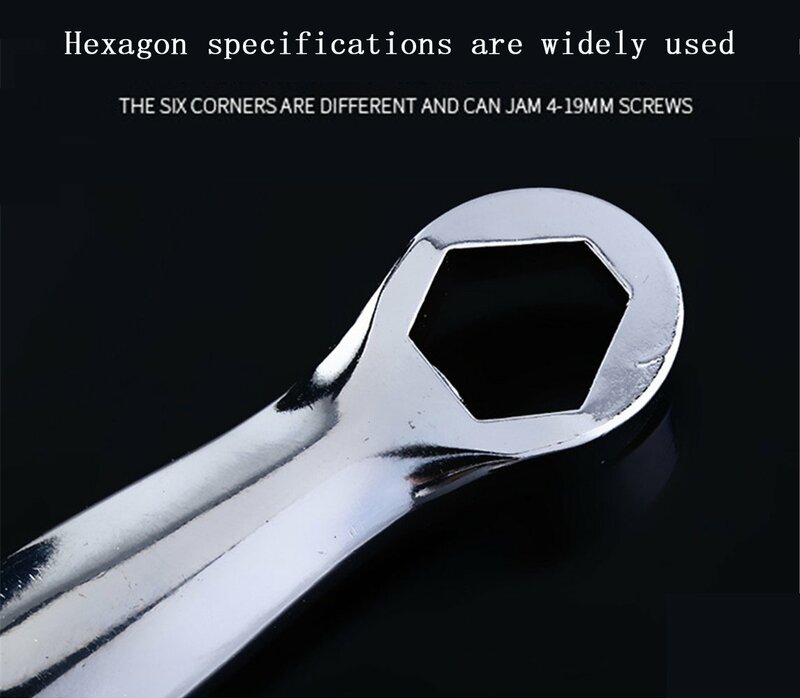 Most crescent wrenches only offer two points of strength, therefore causing the user to round off nut points needed to loosen nuts and bolts. 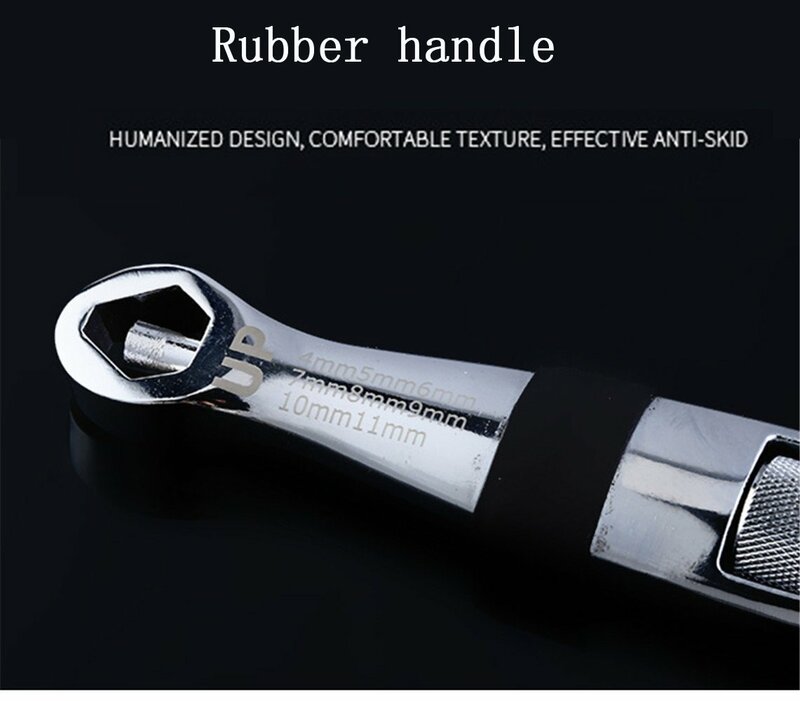 So stop all the wrench slips and knuckle damage you get with regular crescent wrenches and get the new Multifunctional Adjustable Wrench! Premium Quality. Cr-Mo steel for strength and durability. Three touch point to increase the gripping force. Flexible And Adjustable. 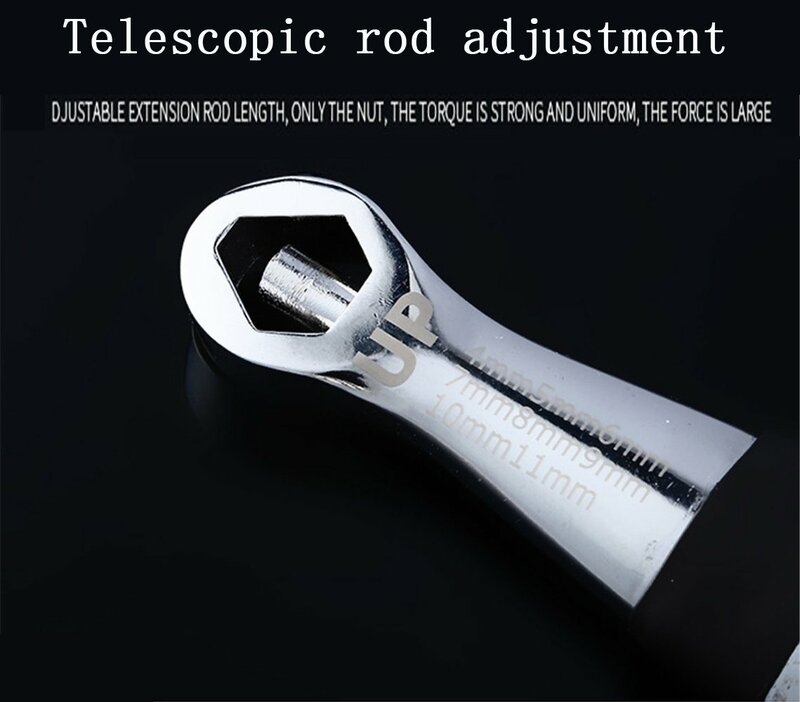 Adjustable smart wrench, applicable to size from 1/4'' to 3/4'', or 7mm-19mm. Durable And Reliable. Surface bright chrome plating, rust-resistant, beautiful and upscale. Easy To Carry. Turn the adjustment screw selection specifications, ultra-practical, easy to carry. Perfect Selection - Suitable for high-altitude operations, factory assembly, car repair or do not want to carry too many sleeve tool operation customers.